Gregory Demeaux's J-Term introductory course is the Indians' newest ever-growing sport. Fencing, an Olympic swordsman's sport in which points are awarded for strikes to valid target areas, began as a six-week elective class in 2016-17 and draws interest as word spreads. 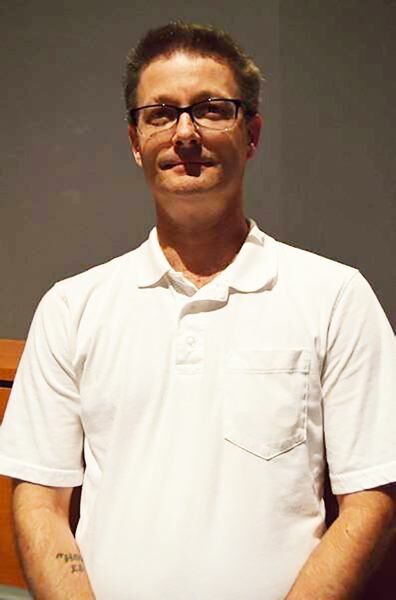 Demeaux, who enters his second year teaching english at Scappoose High and his 16th in all, said approximately 79 new lancers are eager to join in. "I've always been fascinated by swordfighting, and I never got to do it until college [in 1985 at San Diego State University and in 1992 at Portland State University]," said Demeaux, 50, who was able to gather masks and foils (swords) for the class, and feels that fencing sets Scappoose High apart from schools with only conventional activities. Demeaux belongs to Fencing Center Salle Trois in Portland, and his son Dylan, an incoming freshman, and his daughter, Audrey, a junior, join him. Salle Trois' coach, Rocky Beach, lends equipment to the club, and practices require mental and physical skill, agility and quickness as they begin with drills and end with sparring in Scappoose High's wide open cafeteria and auditorium. "It's like physical chess," Demeaux said. "You analyze your opponent and use his or her weakness. I think Pirates of the Caribbean and Star Wars draw theater kids who want to incorporate it." Kids shouldn't feel like they need to be able to afford it, and the club has equipment to lend. Seven or eight students currently lead the club, including sophomore president DJ Backus and junior secretary Jade Kearsley, who created a website for the group, which will elect a treasurer this fall. Backus wanted to get the club up and running in the interest of an Air Force scholarship for when he graduates, and he's Demeaux's link to the students for ideas and taking the lead. "Coaching is really different from teaching," Demeaux said. "It's an entirely different dynamic because in sports you want to be there." 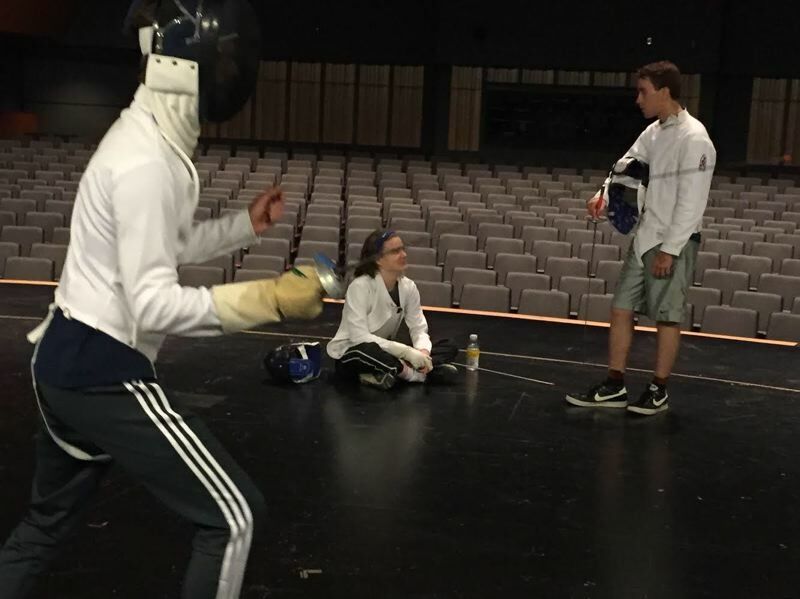 Interested Scappoose High students are welcome to visit the next fencing meetings, scheduled for 9 a.m. to 11 a.m. on Tuesday and Thursday, in the cafeteria, to see the sport in person.